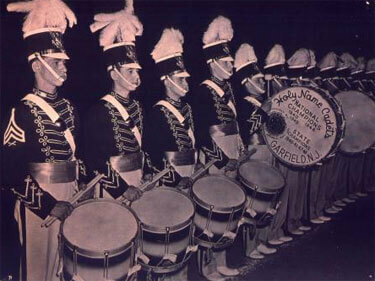 The contest at Audubon in 1955, the Audubon All Girl Drum & Bugle Corps (Bon Bon's) housed the Holy Name Cadets (Garfield or The Cadets). The drummers gave me this picture. It's an awesome photo that I love.